The city of Alajärvi in the Southern Ostrobothnia is located close to Alvar Aalto’s childhood hometown Kuortane. Aalto spent his childhood summers in Alajärvi and later had his own summer house there up to 1940s. For him Alajärvi represented leisure time with family and relatives in contrast to the hectic work at the office with all the assignments and architecture competitions. Later Aalto reminisced the place and called it his spiritual home. In the scenic Alajärvi one can see buildings from the long span of Aalto’s career, from the earliest assignments to the last of his office. At the Alajärvi Administrative and Cultural Centre there are 11 locations, including the recently renovated Villa Väinölä, a home Aalto designed for his brother. memorials designed by Alvar Aalto and the Aalto family grave. The Administrative and Cultural Centre in Alajärvi consists of two municipal offices, the Parish Centre, Youth Association building, the former Municipal Hospital, a Health Station, Villa Väinölä and the City Library, which was finished by the architect studio of Aalto. In addition there are the three memorials and the summer house Villa Flora, that Aalto designed for him and his wife Aino Aalto. Today Villa Flora is under private ownership. The lobby of the Alajärvi town hall houses Muodon Vuoksi, an exhibition of the classic 1930s glass design of Alvar and Aino Aalto. Alajärvi was a town dear to Aalto and he put his heart and soul into the local projects. The countryside was his retreat during the busy creative years. The Nelimarkka Museum in Alajärvi was founded by the painter and professor Eero Nelimarkka (1891-1977) in 1964. The building was designed by his friend, the architect Hilding Ekelund. 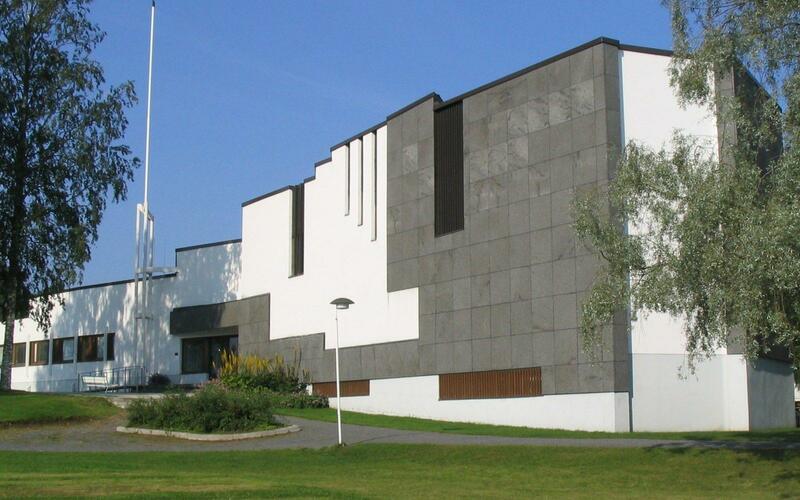 Since 1995 it has functioned as the Regional Art Museum of Southern Ostrobothnia. It focuses on displaying regional Ostrobothnian art but art education also plays an important role. 1980s the museum has also provided an international residency program for artists. In summertime you can enjoy coffee and cake in the light atmosphere of Café de Nelimarkka. The museum shop is open year-round. You can book a customized tour or workshop at the museum. Nelimarkka museum maintains the near-by Villa Nelimarkka and Villa Väinölä, located in the centre of Alajärvi. Nelimarkka Museum is open all year round. Alajärvi is located in South Ostrobothnia, approximately 377 kilometres away from Helsinki. Using public transport the best way to reach Alajärvi from Helsinki is taking a train to Seinäjoki and from Seinäjoki a local bus to Alajärvi. Contact number for the taxi service in Alajärvi is +358 6 557 2499.